This woman in thick make-up thinks it's cool to wake up tired passengers in public transport minivan by glaring horn from her car. This video was originally posted on Facebook page called "Top Gear" which can be seen that those women playing pranks by honking the horn to wake up two passengers leaning to the window inside napping inside the white minivan public transport. Top Gear Philippines editor, Vernon Sarne said, "As you can imagine, people got angry after watching the video, except for a handful of individuals who couldn't seem to grasp what was so wrong about the rude stunt." They both are identified as RR Enriquez, a celebrity who sits in the driver seat, and Jeck Maierhofer her companion. 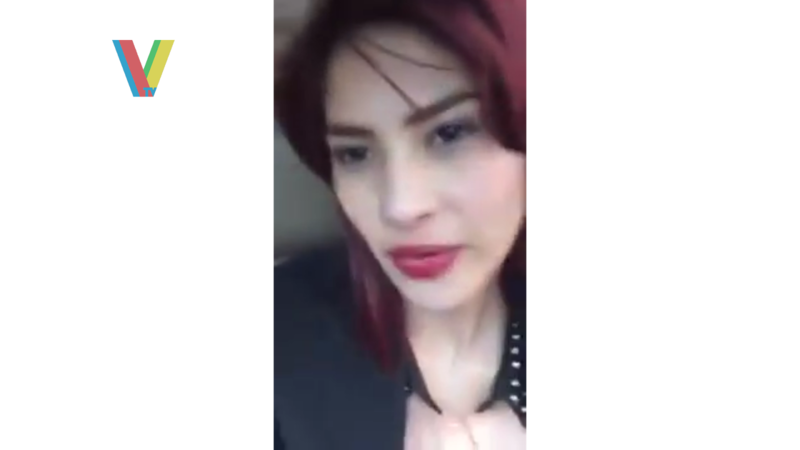 In the video, Enriquez, announces her plan in mixed English and Filipino which sounds stupid, "Ladies and gentlemen, what we will do is honk the horn so the man wakes up." These women thinks that it's pretty funny, and finally got backfired as the viewers in that Facebook page thinks that it's rude. I sincerely and wholeheartedly apologize for my inappropriate behavior in the video that has offended many. Sana po ay inyong tanggapin ang aking taos pusong pag hingi ng tawad sa lahat lalo na po sa mama na nasa loob ng van. This incident has taught me to be more sensitive towards people's feelings and be more responsible for my actions. Tao lang po ako,hindi po ako perpekto,thank you sa lahat ng nagmessage,thank you sa asawa ko na hindi ako jinudge at niyakap ako,yan lang po talaga ang kailangan ko ngayon.Again,sorry po ulit. I sincerely and wholeheartedly apologise for my inappropriate behaviour in the video that has offended many. I hope you can accept my sincere apology to everyone, especially to my mother inside the car. This incident has taught me to be more sensitive towards people's feelings and be more responsible for my actions. I'm just a human, I am not perfect, thank you to all messages, thank you to my husband that support and hugged me, that's what I really need right now. Again, sorry again. RR Enriquez later posted her apology, too, on her Instagram. No response yet to "Two Pinay Women Disturbing the Peace"